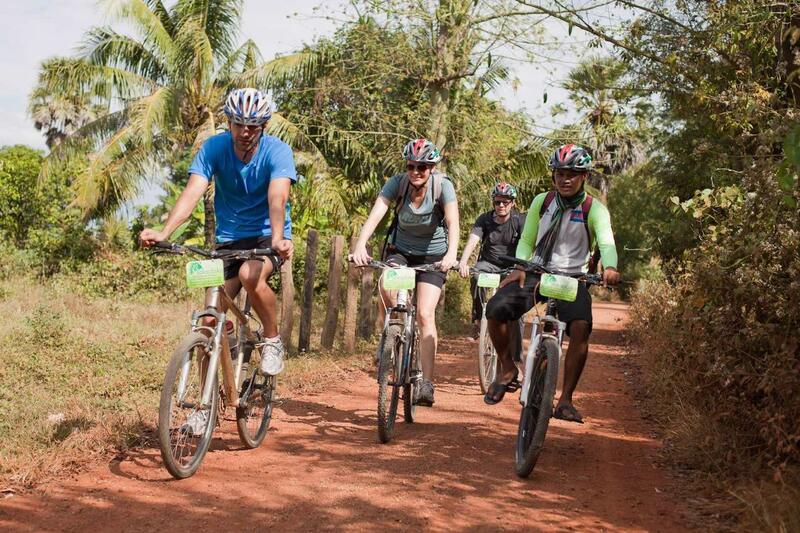 With our local student guide, you will spend your day exploring the beautiful countryside around Battambang by bicycle. 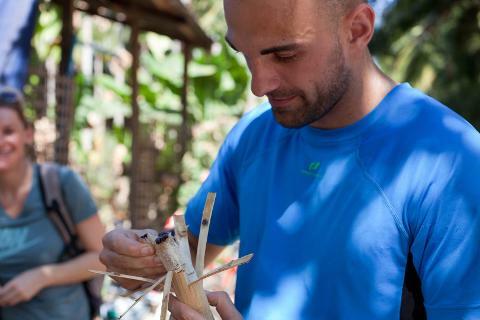 Visit with Cambodian families who produce traditional products (such as rice paper, dried bananas, and bamboo sticky rice) made in the same way they have been for generations. You will learn first hand about every day life in rural communities which make up over 70% of Cambodia’s population. 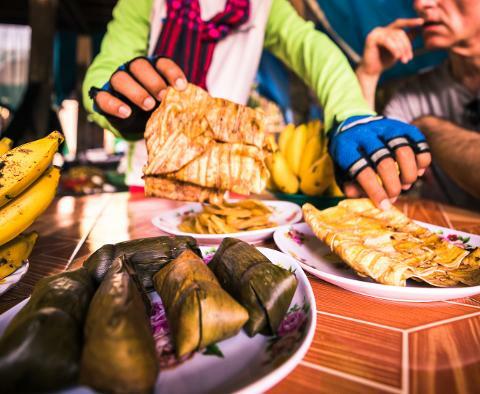 You will continue on to enjoy a delicious Cambodian lunch at a family home. Then visit a Buddhist Temple to gain an understanding the principles and practices of a religion that is central to Cambodian life. To round out your education, end the day learning about Cambodian history through French colonial architectural sites. The full day tour is around 33km. The tour starts at 7:30 and returns around 3:30pm. This tour is suitable for people of all fitness level. A crash course on basic Khmer, the Cambodian language.